Because of the location of my work place where there are no fast food restaurants or cafes within walking distance, its considered a luxury for me to be able to have lunch on weekdays outside (when we can sneak out earlier, maybe half an hour before lunch time), so we always treasure the times we could go out as a group during lunch time. So here we are at Wendys, the Liat Tower outlet. This time, i tried the ultimate chicken grill combo with the new chendol frosty and sharing the cheesy beef fries with my best colleague and friend at work. Love the ultimate grill chicken combo with the de-skin tender chicken and lots of green and crunchy lettuces and tomatoes slices. 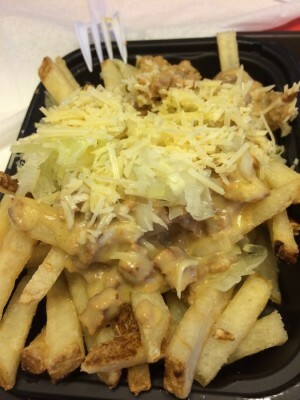 Matched with the natural cut fries topped with cheesy cheese strips and tender beef cubes. Really make up an ultimate sinful fast food lunch. Its too hard to resist them!! I ordered the new chendol frosty instead of the soft drink. 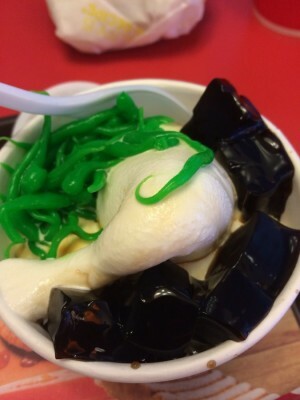 Wendys version of chendol frosty is made up of vanilla ice-cream topped with the green wormy bulgy like jello (which is called chendol) and brown cubes of jelly with a slightly sweet taste. Quite a nice replication of the original version of the chendol. Love it <3. Wendys usual set meal consists of a burger with natural cut fries and a drink. Wendys chendol frosty, a yummy-licious replication from the original chendol using vanilla ice-cream in place of coconut milk. When the ice-cream melted, it really taste like the real chendol! 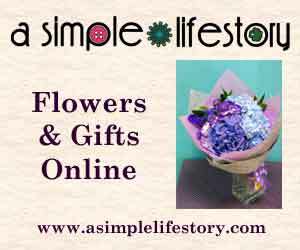 Thumbs up – highly recommended! Cheesy beef fries-slurps! How can cheese, beef and fries match so well together?? Only those in Wendys can! 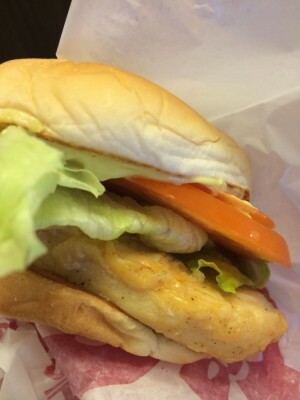 Ultimate chicken grill combo – love the de-skin chicken which is not oily, make my fast-food meal healthier! This entry was posted in Food & Sweets, Happy Journal, Little Red Dot and tagged a simple happiness, asimplehappiness, cheesy beef fries, chendol frosty, fast food, frosty, happy fast food time, lunch, natural cut fries, polkadotpiglet, polkadotpiglet @asimplehappiness, premium cod fish combo, simple happiness, simply happy, singapore fast food, ultimate grill chicken combo, wendy's singapore, wendys @liat tower, yummy.